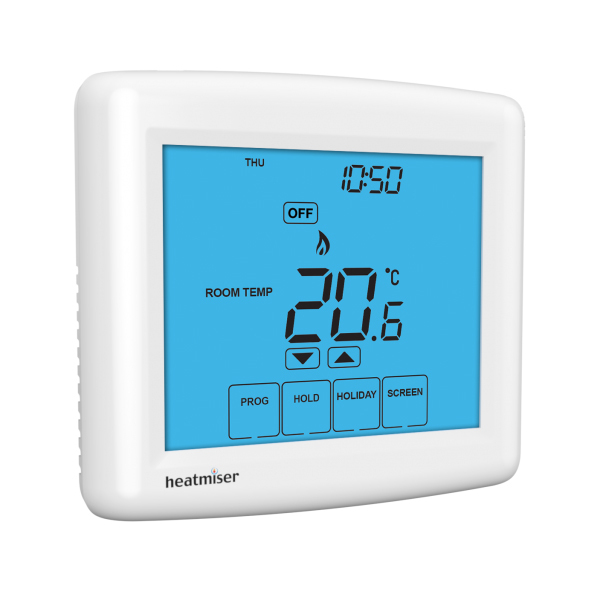 The Heatmiser Touch is our 230v Touchscreen, programmable room thermostat, ideal for conventional or combi-boiler systems. This thermostat can be used to replace a mechanical thermostat. What is the Holiday function? The holiday function reduces the set temperature in your home for a programmable number of days. At the end of the holiday, the thermostat returns to the programmed temperature ensuring your home is warm on your return. What is the Hold function? The hold function allows you to hold a temperature for a number of hours. An ideal use of this function is for parties or when you are going out.